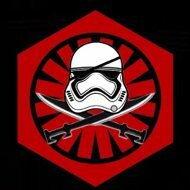 SCTrooper replied to Axeman's topic in Getting Started - Read this First! HI all, We had a fellow stormtrooper TK-17111, visiting our garrison from Omaha, NE We welcomed him to join us at the Imperial Sands garrison for the Walk for Autism Event 2017. James Lagreca is a geat guy and was wearing a FISD t- shirt. I thought it was a cool pic. Im the tall dork on the left. 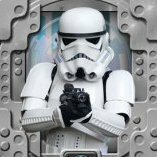 SCTrooper replied to Aeosyn's topic in Getting Started - Read this First! 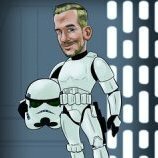 SCTrooper replied to dega's topic in Getting Started - Read this First! 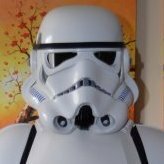 SCTrooper replied to Grave's topic in Getting Started - Read this First! I just got mine. The teeth are over painted, but other than that look great. Looks like scootches armor or some old CAP, ATA. These are good armors. 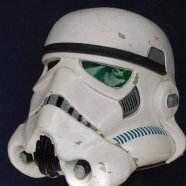 MOT armor is the one to avoid, its sold on ebay. 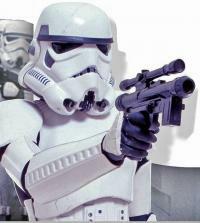 After you get it painted you will have some nice armor. My first armor was made from hips, it was CAP armor. The paint was rust-oleum gloss white and primer, but there is a newer version that works and looks great. Its called rust-oleum universal paint and primer in one gloss white, it has modern spray tip that lays the paint down nicely. The can looks like a mini fire extinguisher. Take a picture of the ab section and kidney and post it. This will narrow down who the maker of the armor is.